The Village of Oak Creek was once nothing more than a collection of several large ranches and farms that has slowly transformed over the last fifty years into a small, sleepy hamlet nestled on the outskirts of Sedona. Founded in the early 1800’s, the area was named “Big Park,” by early pioneers, and was renamed the Village of Oak Creek in the 1960’s. In the 30’s and 40’s, many Westerns were filmed in the area. Hollywood still has a love affair with Sedona and the Village of Oak Creek; TV commercials and music videos continue to be shot along the highways and byways of Sedona and the Village of Oak Creek. 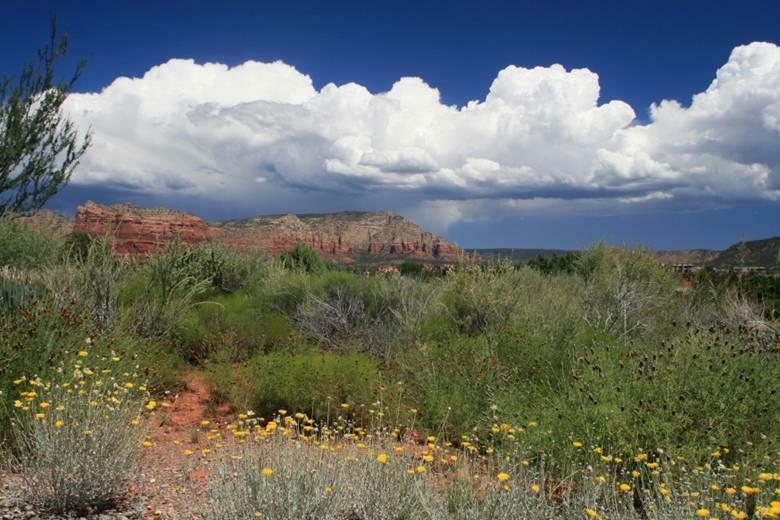 Like many of our area visitors, famous people fall in love with Sedona too! Notable area homeowners in Sedona and the Village of Oak Creek include: Ted Danson (Actor), Al Pacino (Actor), Stanley Jordan (Guitarist), Diane Lane (Actor), Debbie Reynolds (Actor), Jane Russell (Actor), Michelle Branch (Musician) and many celebs are frequent area visitors and several others are rumored to own property in the area. Currently, our most notable Verde Valley resident is Senator John McCain, who, contrary to popular belief, does not own a home in Sedona- McCain’s ranch is located in a lush and secluded valley in Cornville. Today, the Village of Oak Creek has become a resort destination in and of itself. 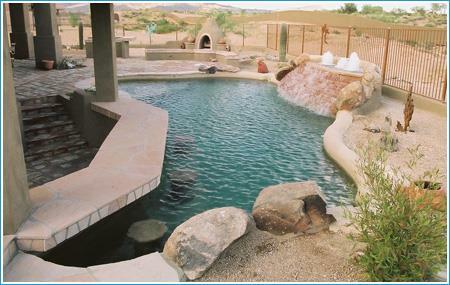 An island of privately held land, completely surrounded by state and national forest lands and nestled among some of Red Rock Country’s most familiar views, the Village of Oak Creek is home to some of Red Rock Country’s most spectacular scenery, yet still retains the quiet charm of a small town. People who find Sedona a little too busy for their taste, just might be right at home in the Village of Oak Creek. 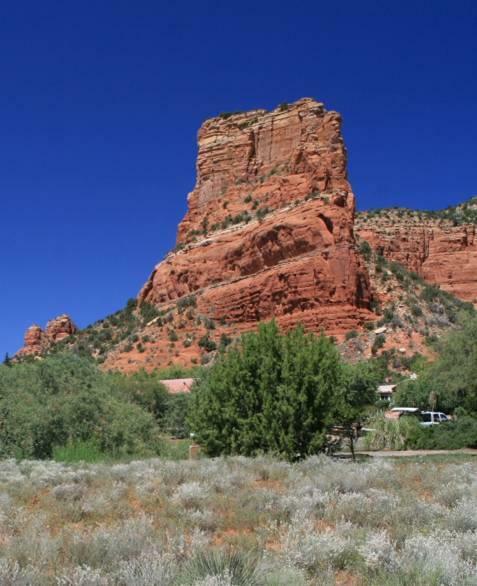 The Village of Oak Creek is situated along HWY 179, and residents enjoy quick and convenient access to The City of Sedona and Interstate I-17. Services in the Village of Oak Creek have been rather sparse until about 10 years ago, when several new commercial developments were permitted, approved and constructed. Tequa brought an infusion of shops, restaurants and galleries to the area. Sedona Golf Resort may have began the trend, but the arrival of The Hilton elevated the Village of Oak Creek to a resort destination as well. The Village of Oak Creek is home to 3 Golf Courses: Canyon Mesa, Sedona Golf Resort and The Oak Creek Country Club. Sedona Golf Resort is an 18 hole, par 71 course and receives a continuous 4 star rating from Golf Digest. Oak Creek Country Club features an 18 hole championship course, designed by Robert Trent Jones Sr. and Robert Trent Jones Jr. The setting and scenery of this course are spectacular. A new clubhouse was erected in 2004. The Village of Oak Creek has been experiencing growing pains, and recently widened HWY 179. 5 roundabouts were installed, and the wisdom of this decision is certainly not accepted by all- present company included! It seems to me to be innately stupid to install 5 roundabouts in an area where everyone is from somewhere else, and staring at scenery, instead of the car in front of them. But then again, that's government. However, most residents know that the little bit of traffic they now contend with, is NOTHING compared to the traffic in the cities they have relocated from! The paving of “seven mile road” (which was only 6 miles long), a few years ago greatly opened up travel options to and from the village. It is now known as Beaverhead Flat Road, and connects HWY 17 9 to Cornville Road. A few years ago, the LaBarranca fire charred a large expanse of the native forest flanking the neighborhoods of LaBarranca and Pine Valley. But this fire had unseen benefits. The fire traveled up a heavily forested ridge and decimated all vegetation in the path. But now, the removal of this dense brush and accelerated erosion on the ridge has revealed a “new” red rock ridge to admire while traveling through town. The Village has one grocer, several restaurants and a small scale outlet mall. 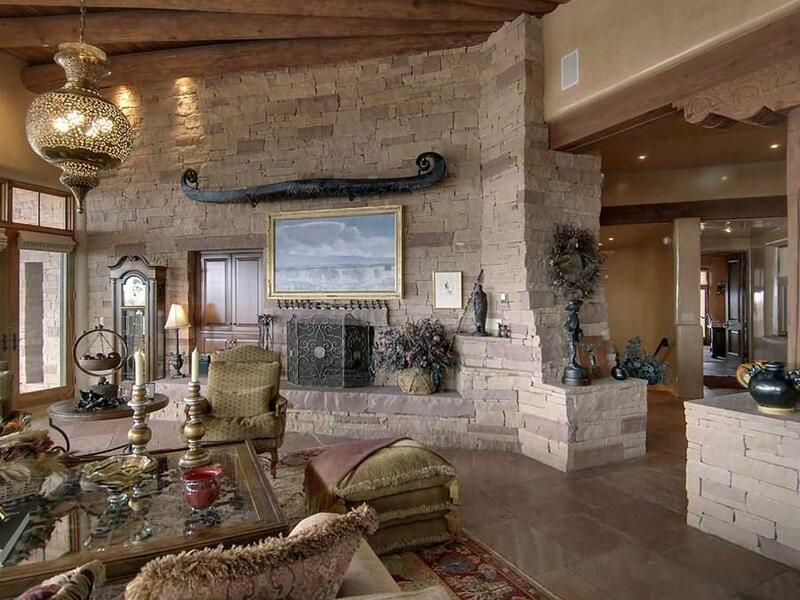 Real Estate offerings in the Village tend to be a little less expensive than Sedona, and range in price from the 150's to several million. The Village of Oak Creek can satisfy just about any budget, or the most distinguished tastes, and is sure to enjoy a very prosperous future. 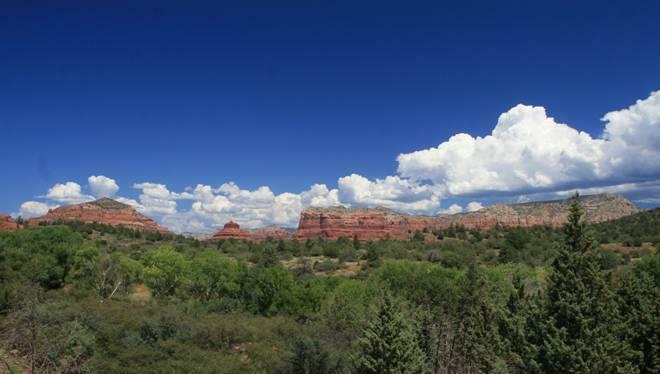 Some of the information on these sites will apply to Sedona as a whole, as many Government agencies do not treat the Village as a separate entity.